Caffeine is a popular additive to diet supplements, and many people can't get through the day with out their coffee, soda, or tea. If you're trying to lose weight, and you consume caffeine, how will it affect your goals? Will it help or hinder your weight loss efforts. 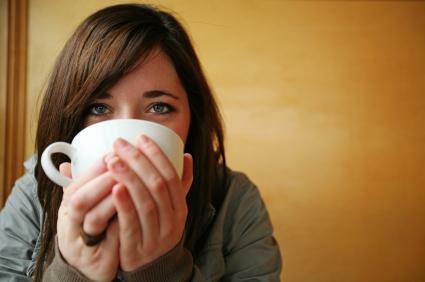 Nearly 90 percent of the American public consumes some form of caffeine on a daily basis. While caffeine occurs naturally in coffee, tea, and chocolate, it is classified as a drug, and an addictive one at that. If you regularly consume caffeinated products and then quit cold turkey, you are very likely to suffer physical signs of withdrawal, including headaches, irritability, body aches, and exhaustion. Caffeine is a stimulant. When you consume caffeine, it uses the same mechanisms as cocaine and methamphetamine to stimulate your brain. Along with brain channels, it also stimulates the cardiovascular system and serves as a diuretic. Beside certain food substances, caffeine may be present in some pain relievers and weight loss products, as well as in energy drinks and supplements. The effects of caffeine on weight loss remain controversial. The stimulating and diuretic effects of caffeine may support weight loss, although no definitive studies show caffeine's efficacy for creating lasting loss. Instead, its stimulating properties may affect a slight rise in thermogenesis, although not enough to lead to a significant decrease in weight. Likewise, the energy derived from caffeine may spur you onto a more active lifestyle in which you burn more calories; however, your energy levels will likely crash in the absence of caffeine. Some people also experience a mildly suppressed appetite with caffeine intake; however, this effect is usually temporary, and there is little evidence that long-term appetite suppression results. The diuretic properties of the drug may also cause you to lose water weight; however, water weight loss does not affect your body fat levels. On the other hand, caffeine may also lead to several reactions that actually provoke you to eat more. For instance, irritability and stress may lead to emotional eating. Likewise, stress and tension stimulate the release of cortisol, which may cause cravings and weight gain around the middle. This type of weight gain is associated with an increased risk of both heart disease and metabolic syndrome, a condition in which weight loss becomes even more difficult. The other way that caffeine may negatively affect your diet is in the delivery system. While coffee, tea, and diet soda all have very few calories, if you must have sugar or cream with your coffee, then you increase your caloric intake. Popular coffee house drinks such as mochas and frappe drinks may be loaded with fat and calories, as well, negatively affecting your diet. If you use artificial sweetener in your coffee or drink artificially sweetened soda, then you experience effects from them that are deleterious to your weight loss efforts, as well. For instance, when your tongue tastes sweet, your body primes itself to deal with sugar, regardless of the source of that sweetness. In some cases, artificial sweetener may trigger insulin release, which can also lead to weight gain. Whether you choose to incorporate caffeine into your diet depends largely on personal choice. Little evidence shows that this drug positively affects weight loss regardless of its presence in popular weight loss supplements, and some evidence shows that it may even be harmful, both to weight loss and your overall health. If you feel you have a caffeine addiction, talk to your doctor about removing the caffeine from your diet.